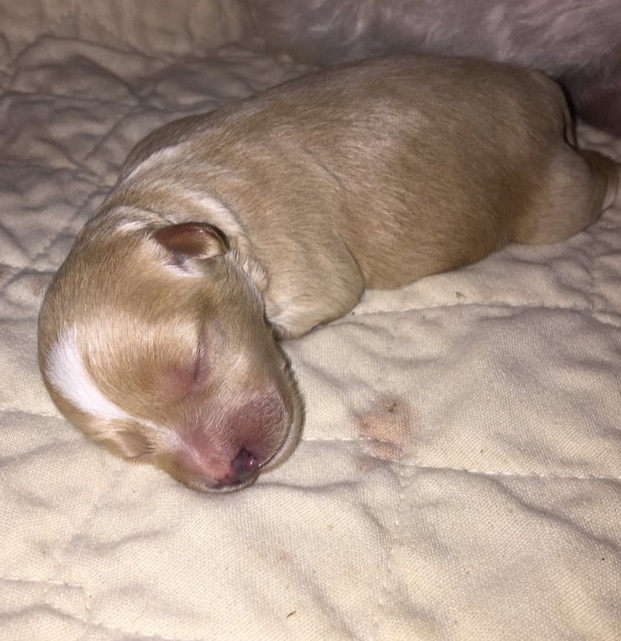 Special Baby from KitKat and Teddy - He was born on 3/3/19 with a cleft palate. He is doing well with tube feedings and eating some puppy food. We will be looking for a special home for him one day, with someone that has the time to love and care for him.